A touch of nostalgia and a knack for humor turn this drinkware collection by artist and ceramic professor, Steve Hansen, into a playful assortment for anyone with a hint of adventure in their heart. Each mug delivers a witty punchline when you turn it around. Sentiment: Notice!! 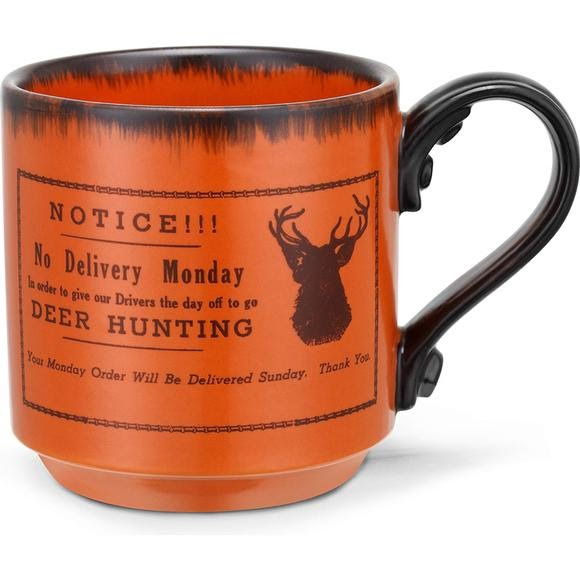 No Delivery Monday in order to give our drivers the day off to go Deer Hunting. Notice!! No Delivery Monday in order to give our drivers the day off to go Deer Hunting. Your Monday Order will be delivered Sunday. Thank you.